JA: So let's jump right into your newest work, a book called Hippo in a Tutu: Dancing in Disney Animation, which studies dance in Disney's animated shorts and features; you have been a professional critic and teacher of dance for quite some time, and have even written a book called Dance Anecdotes, which contains stories about dancing all over the globe. 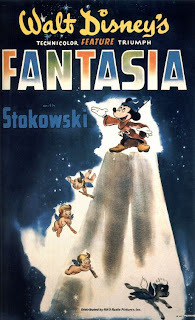 So why Disney for the subject of your book, and when did the idea first come to you? 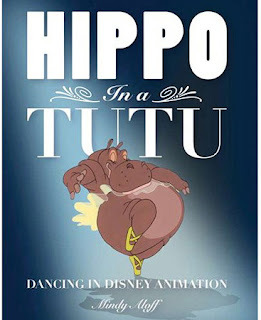 MA: The idea for the book, as such, wasn't mine: it was a longtime concept of an editor at Disney Editions, Christopher Caines, who is also a working choreographer--and, not incidentally, the author of the title Hippo in a Tutu. He noticed that although there was a fair amount of published writing about music at Disney, there was little about dance, and he thought such a study could fill in an important gap. Around six years ago, he approached me with the suggestion that I might write the book; I drafted a proposal, and the editorial director of Disney Editions, Wendy Lefkon, liked it, even though I didn't have an animation background. However, the reason that Christopher tapped me was that nearly ten years before, in the early 1990s, I'd written two stories about dance in animated films. 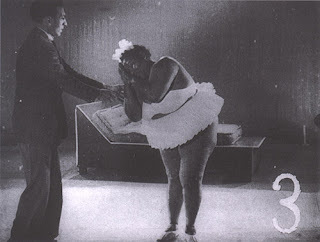 One, assigned by the dance editor of The Village Voice, was based on a festival of Warner Bros. cartoons at Film Forum, in SoHo, during which I saw 100 shorts in a row and stumbled into the street with the conviction that, as far as dance went, Disney exhibited more understanding and technical prowess. This story was never published. The second, much more abbreviated, was one of the published Dance columns I wrote for the "Goings on about Town" section of The New Yorker, to which I contributed between 1989 and 1993. In 350 words or so, I evaluated dancing in Disney and Warner's and explained why, with respect to the dance passages of its animated films, Disney was my preference. Others in Great Britain had also written about dancing and Disney around that time: you can read the lovely 1989 essay "Disney's Dances" by Alastair Macaulay (now the chief dance critic at The New York Times), originally published in The Dancing Times and reprinted in Robert Gottlieb's new anthology, Reading Dance. The subject was in the air. I was just very lucky that Disney Editions reached out to me. JA: As far as I am aware, this is the first time that there has been such a thorough study on the subject of cartoon choreography within Disney, or anywhere for that matter; tell me about your research process, the people you got to meet, and your fondest memories of compiling Hippo in a Tutu. MA: It was nothing if not research. 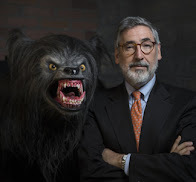 I began by going through the John Canemaker Collection at New York University's Bobst Library: a huge compendium of writings and art that John had used in the course of writing his many Disney histories and donated to the library. It was there, for instance, where I first encountered some of the meticulous transcripts that recorded the story conferences of Walt Disney and his staff during the 1930s and early '40s. 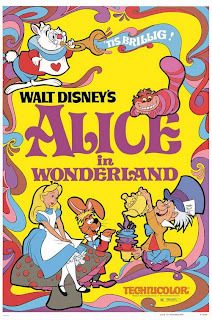 My favorite was one on Alice in Wonderland, which languished for several decades in development: in the transcript, Walt Disney spends a heartbreaking amount of time trying to figure out the psychological reasons why certain events in the Lewis Carroll books happen in the sequence they do. Reading it, I kept wanting to leap through time into the conference room and whisper into Mr. Disney's ear, "But Charles Dodgson was a mathematician, and these sequences play out certain math games." No one ever mentions that fact in the transcript, and it would have saved the team so much vexation! 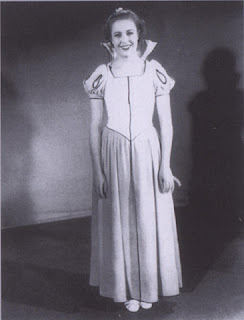 While in New York, I also set up a 90-minute oral history interview at the New York Public Library for the Performing Arts with Marge Champion, the live-action reference dancer for Snow White, for the Blue Fairy in Pinocchio, for the Twirling Blossom in the "Nutcracker Suite" section of Fantasia, and for Hyacinth Hippo in Fantasia's "Dance of the Hours," which she also choreographed. (An edited version of that interview is included in Hippo in a Tutu.) And I began to buy the DVDs of animated shorts and features by Disney, Warner's, Fleischer, and other studios, as Disney had none to lend. I also began to buy books on animation, most of them out of print and many of them not held by area libraries. Happily, one day, in two oversized boxes, a dozen relevant Disney histories arrived at my doorstep from Disney Editions: I could never have afforded them, even used. And I spent days at the Dance Division of the New York Public Library for the Performing Arts at Lincoln Center, researching related topics, as well as on the Internet, where I discovered that the George Eastman House, in Rochester, New York, owned a copy of the 1916 silent live-action feature Snow White, which Walt Disney had so enjoyed as a teenager, and that it was available as part of a DVD boxed set of American silents, which I was able to track down and, dipping deep into my savings, buy for study. 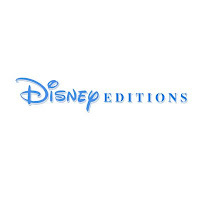 Disney Editions also set up three trips for me, each a week long, to the company archives in Burbank and Glendale. These were extraordinary experiences. On the first visit, I was able to interview animator Andreas Deja and the co-directors of The Little Mermaid, Ron Clements and John Musker and, over the phone, Kathryn Beaumont--the voice and live-action reference for Alice in Wonderland. I also spoke on the phone with Disney connoisseur Harry Arends and met film producer Les Perkins and other animation historians. Most of the week, though, was spent in the Burbank campus archives, with the great Dave Smith and his excellent staff, and at the Animation Research Library in Glendale, where archivist Fox Carney produced one treasure after another: inspirational drawings, live-action reference films. 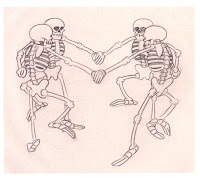 On the second trip, I spent all my time in the Burbank archives and at the ARL, where archivist Ann Hansen, apprised of my research, brought to the table the full set of pencil drawings that Ub Iwerks made for "The Skeleton Dance", Disney's first Silly Symphony, as well as the art by another hand of Persephone dancing in another early Silly called "The Goddess of Spring." On the third trip, I touched base with both the Burbank archives and the ARL; however, most of it was spent at the Disney Photo Library in Glendale. And there were many conversations and interviews I conducted by telephone and on line, with the Disney historian Ross Care, for instance, and, most wonderfully of all, with the composer and Disney historian Alexander Rannie, whom I have yet to meet in person but with whom I have spent the equivalent of weeks in conversation through E-mail and over the telephone, discussing Disney animation. Alex's unique combination of brilliance, respect for accuracy, collegial generosity, and optimism in the face of bleak doubt have been almost as important to the completion of this book as the spiritual contributions of my daughter, Ariel, and the editorial exactitude and imaginative sympathy of Christopher Caines. At one point, when I thought I'd hit a brick wall in my efforts to find out any information about the second half of the life of Hattie Noel, who served as the live-action reference for the body of Hyacinth Hippo, Alex, in Los Angeles, got in his car and drove to libraries as well as through the neighborhood in which she lived. He sent me a report, which I've quoted in the book. You cannot put a price on the kindness and intellectual curiosity of colleagues like Alex, or Jeff Kurtti, the Disney author and interviewer who, in essence, gave me the entire history of the Disney-Dali collaboration, Destino, and whose family opened their home to me to stay when I couldn't afford a hotel. In the event, the acknowledgments for Hippo in a Tutu spell out, I hope!, all the good souls who contributed to its realization. JA: Do you have a favorite piece of animation, and also, what were your favorite cartoon moments as a child? MA: For a long time, my very favorite was Lotte Reininger's feature-length silhouette cut-out film from the 1920s, The Adventures of Prince Achmed, which I saw in college. That is still, for me, a stupendous achievement and film of entrancing beauty. However, in the past decade it has been replaced by the animated sequence in the early Ingmar Bergman ballet picture Summer Interlude, from the late 1940s. The animation consists of stick figures on the label of a long-playing record which, as the record turns, come to life for a pas de deux. It is both as simple and as profound as a pre-schooler's drawing, and I've never seen anything else quite as emotionally affecting. At one point, I wrote to The Ingmar Bergman Foundation in Sweden to find out the name of the animator and the circumstances of the making of the passage, and they kindly shared all that information via E-mail. However, when I changed computers, that all got lost. Jean-Luc Godard was once quoted as saying that he thought Summer Interlude was the finest film that Ingmar Bergman ever made; Godard and I agree on this point, and I'm a Bergman fan. JA: Do you remember where your love and passion for dance began? MA: Yes: in the Philadelphia Academy of Music on an evening in 1956 when my father took me to see a performance of the Ballet Russe de Monte Carlo. The love and passion were born when I saw a ballet by Heinz Rosen called La Dame a la Licorne, about the unicorn tapestries of Cluny. The ballet, I learned later, was a critical disaster, but the image of the ballerina unicorn pointing her toe shoe in a gesture that rhymed with the horn on her mask was the moment I threw in my lot with ballet and art and poetic association. JA: Tell me about your book, Dance Anecdotes, which you have described as a "collection that one might pick up in a country inn"- also, tell me about the research process in which you produced stories which range from ancient to recent. 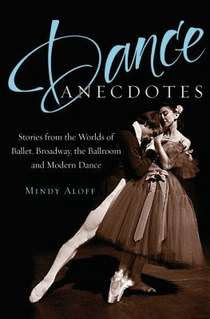 MA: Dance Anecdotes came to me at a moment when I was desperate for work and also had a two-year-old child and aging parents. It was part of a series that Oxford University Press publishes ("Literary Anecdotes," "Legal Anecdotes," etc. ), and most of the people who write those books have all the stories at hand. I didn't: I researched. And I had a vision: I wanted to include stories that would show theatrical and nontheatrical dancing as a vocation, even a mission, and I wanted stories that children as well as adults might find of interest. It's a luxury to hold a vision, of course, and the result was that the book took me 17 years to complete. My editor at Oxford, the late, great Sheldon Meyer, understood me, truly, and he waited, serving as editor even after he had retired from the press. I heard that mine was the very last book this wonderful editor worked on. The paperback edition is dedicated to his memory as well as to the memories of my parents, both of whom died in the time I worked on it. JA: Who are a few of your favorite dancers of all time? MA: Goodness, there are way too many! But one "dancer" (i.e. metaphorical dancer) you might not have thought of was the outstandingly graceful baseball player Satchel Paige. JA: Your new book focuses entirely on choreography within Disney, but are there any other films created by different studios that you feel achieved greatness in their marriage of dance and animation? MA: Absolutely: the Max Fleischer studio, Disney's chief competitor during the 1930s, produced dancing sequences that were gorgeously musical and charming and beautifully drawn. Betty Boop starred in several of them, such as her "Snow White" and "Poor Cinderella." 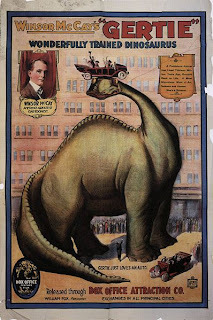 I'd also cite the very simple slow marching dance of Winsor Mackay's Gertie the Dinosaur; the amazing animations of Lotte Reininger, Alexander Shiryaev, and Wladyslaw Starewicz from just before or just after World War I; Gene Kelly's duet with Jerry Mouse in Anchors Aweigh; even the animated credits to The Pink Panther. But you must remember that I'm not an animation historian: I'm missing entire repertories, which I'm sure that your readers will fill in. JA: Which film in the Disney catalogue do you feel is the prime example of cartoon choreography that inspired you to document the Studios' history? JA: And finally, what is next for you as a writer? MA: As a writer, I have no idea. There are too many dance critics now for the reduced number of podia, both in print and on line; and the one place I was reviewing literary nondance books, The Washington Post Book World, was just eliminated for budgetary reasons. Occasionally, I do contribute scholarly reviews of dance books to the quarterly Dance Chronicle and reports now and again to The Dancing Times in London; that's about it. As a writer who edits, I'm currently working on a reader of Agnes de Mille's writing for the University Press of Florida, and I'm extremely grateful for this wonderful assignment. Really, though, given this economy and the likelihood that the downturn will be prolonged, Hippo in a Tutu is probably, for me, the culmination of a career as a dance writer.